Bread fruit or Dheevi halasu is found largely in tropical countries. 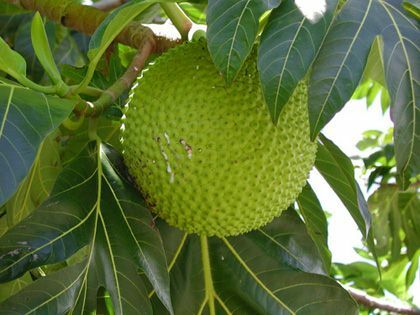 This fruit can be added into curries, or made intostir fries. I love veggie stir-fry's. 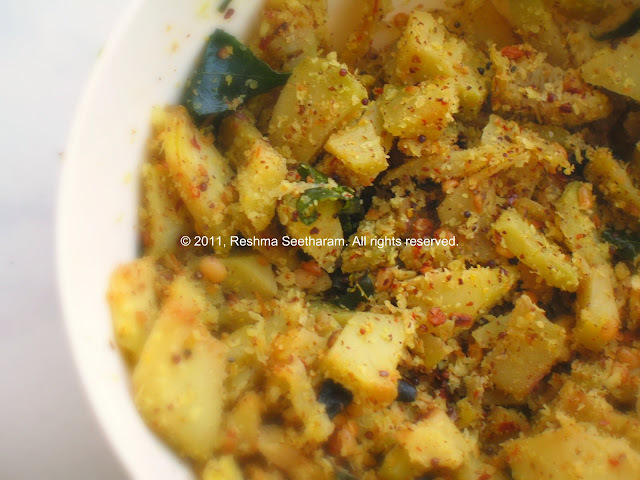 They are the ideal 2 in 1 dish for dinner and lunch. Healthy too! In a skillet, on medium heat, add oil. When it begins to shimmer, add in the dhals. When they get golden brown, add the mustard seeds and curry leaves. Then, add in the onions and bread fruit, cook on medium high for the first 2 minutes, then on medium heat until the bread fruit is soft and crunchy. Add in the chili flakes, turmeric and salt. It may cook in about 7-10 minutes. I usually cook this stir-fry for dinner, as a side dish with chapathi/tortilla and rice. The remaining is wrapped into chapathi/tortilla rolls for lunch the next day. Enjoy!